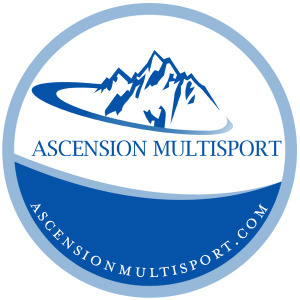 Thank you for looking at Ascension Multisport and USAT Certified Head Coach Nick Cumbo! Here at Ascension Multisport we offer the highest quality 1 on 1 and remote endurance coaching, biomechanical analysis, in-home personal training and bike repairs/upgrades. With the advanced education and lengthy list of certifications we have obtained over the years, we have the knowledge and experience to get you across the line for the first time, or across that same line in first- whichever you desire. Barefoot Running: A comparison in running shod vs barefoot. Nick is currently in his 8th year of working with athletes, and has been competing for the past 15 years. Currently, he is working in the heart of Downtown Boston as a General Manager in corporate wellness. In the past, he has learned the methodology designed by EXOS (Formerly Athletes Performance) proven to work with thousands of athletes, high level tactical forces, and countless individuals, as well as with many high level triathletes at National Training Center. He has worked with athletes of all levels from youth to elite national teams, NCAA varsity sports, nationally ranked athletes, and semi-professional teams. In his career of working in with endurance athletes, he has built countless training plans and consultations for local athletes involved in running, triathlon, and strength training. At Ascension we work with self motivated clientele who are driven to achieve success on their own, but do not have the tools or knowledge to succeed alone. Success. Coach Nicholas Cumbo MS CSCS has been notified of your message.